For a lot of the year the only beans available to us are imported from Africa. 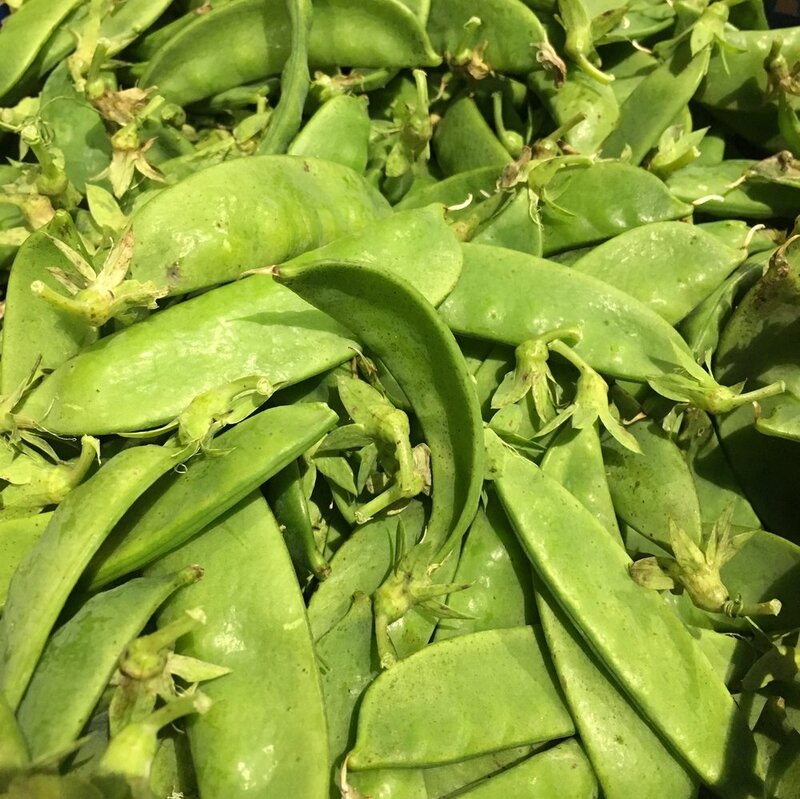 Our bean season lasts from June until October and I can usually find fine beans, garden peas and broad beans during these months. I got a nice surprise this morning when I came across this Irish Mange-tout at Ciaran Butler's in the market. I have honestly never tasted sweeter or crisper Mange-tout, it's night and day compared to the African produce we are used to. He only had a couple of boxes so I took both and they're available in Cabra and Marino today, he doesn't know if there will be more available. Irish Fine beans are there too and again are a different experience altogether compared to the African. There will certainly be a few more weeks of Fine beans but Im not sure if there will be much more Mange-tout before the season finishes. Enjoy!